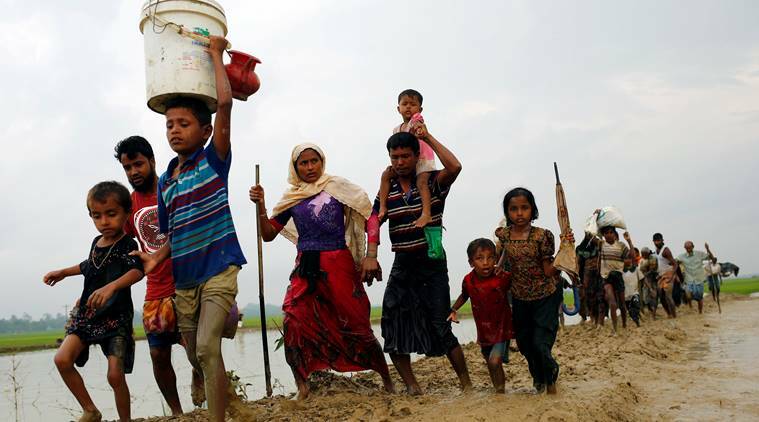 Anng Suu Kyi is legitimising genocide in Myanmar and has entrenched the persecution of the Rohingya minority, according to state crime specialists at Queen Mary University of London (QMUL). Researchers from the International State Crime Initiative (ISCI) at QMUL’s School of Law last year published the results of months of fieldwork in Myanmar’s Rakhine State. Their investigation concluded that the Myanmar state’s policies are genocidal. Their research exposed evidence of mass killings, forced labour, torture, sexual violence, arbitrary detention, institutional discrimination, and the destruction of communities. They were among the first to describe the plight of the Rohingya as genocide. The researchers say that on-the-ground reports reveal a consistent picture of a trapped, terrified, and desperate community. They warn that reports are consistent with historical practices of state repression and violence in the region, echoing the brutal and indiscriminate crackdowns of 1977-8 and 1991-2 when hundreds of thousands of Rohingya fled to Bangladesh. The researchers say that entire communities are now experiencing the genocidal stage of systematic weakening: state-sponsored denial of access to health care, livelihood, food, and civic life. They warn that the government’s objective is to render the population so physically and psychologically diminished that they are unable to engage in a purposeful life. The group is strongly critical of Anng Suu Kyi and the National League for Democracy (NLD). Earlier this year Suu Kyi demanded foreign governments refrain from using the term ‘Rohingya’, and the Myanmar government’s public statements continue to demonise and deny the group’s existence. Meanwhile the researchers say that the state run Global New Light of Myanmar implicitly referred to the Rohingya as a ‘terrorist’ ‘foreign’ threat in Northern Rakhine state and a ‘thorn which must be removed’. Myanmar’s own Human Rights Commission has refused to acknowledge the existence of the Rohingya and the domestic criminal justice system is being used as an instrument of persecution, according to the researchers. Thomas MacManus, lawyer and ISCI researcher says that Suu Kyi’s government has adopted “the military dictatorship-era tactics of blanket denial, an absolute ban on international observation, severe limitations on humanitarian access within the region, the muzzling of the press, and the ‘blacklisting’ and deportation of human rights activists”. Emerging from decades of oppression and poverty, Rakhine state is ripe for economic exploitation, particularly in relation to natural resources. Demonising the Rohingya as ‘illegal Bengali immigrants’, the Myanmar state has manipulated genuine Rakhine grievances and Buddhist monks’ insecurities to foster conditions for ongoing persecution and violence for social, political and economic gain. The Myanmar government has been central in stigmatising the Rohingya, allowing hate speech, Islamophobia, the publication of inflammatory newspaper reports, and nationalism to flourish. The entire Rohingya population has recently been further disenfranchised, ahead of elections scheduled for November this year. However, the granting of citizenship cards with voting rights will not be enough to end the genocidal process. Citizenship has, for example, afforded little protection for the Kaman Muslim ethnic minority in Rakhine state. Physical violence resulted in some 200 deaths in Sittwe in 2012, and the threat of violence remains ever present for the Rohingya. Those responsible have enjoyed complete impunity for the violence. Our research reveals that the violence was planned and organised by local authorities supported by local civil society organisations, and political and Buddhist leaders. Continued harassment has contributed to the flight of hundreds of thousands of Rohingya. 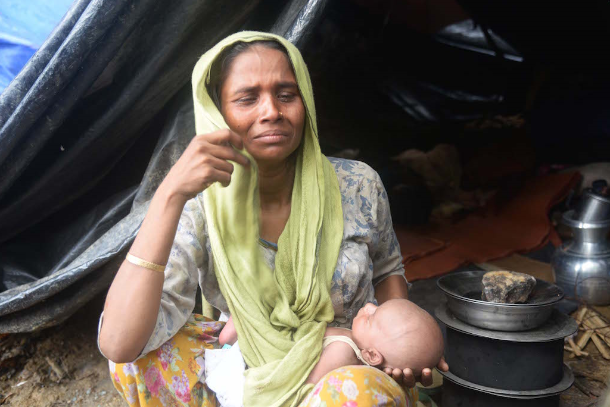 More than 100,000 Muslims, formerly living in mixed Rakhine and Rohingya communities, have been forced into squalid camps in an overcrowded and isolated detention complex on the outskirts of Sittwe. A further 4,250 Rohingyalive a precarious existence in downtown Sittwe’s militarised ghetto, Aung Mingalar. 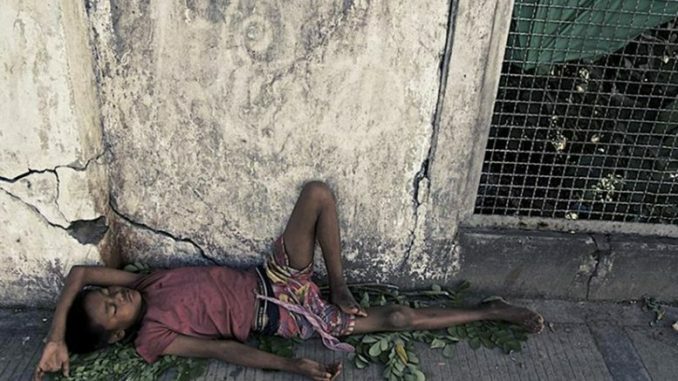 Dehumanised and destitute, Sittwe’s Rohingya live what can only be described as a ‘bare life’. The parallels with 1930s Germany are undeniable.